Bollywood actress Priyanka Chopra who has now turned into a Hollywood celebrity after her show Quantico became the talk of every American house. She has made quite a number of American fans and nowadays shooting for the next season of her show. The actress who has settled in the foreign land is now planning to come back to her motherland and the reason will surely make you happy. The international 'Desi girl' is planning to return back to India in order to shoot for her next Bollywood project. As per the latest reports by a leading entertainment portal, Bollywoodlife.com, the actress will be coming back and will be staying for 3-4 months once she has completed the shoot of her Hollywood film. 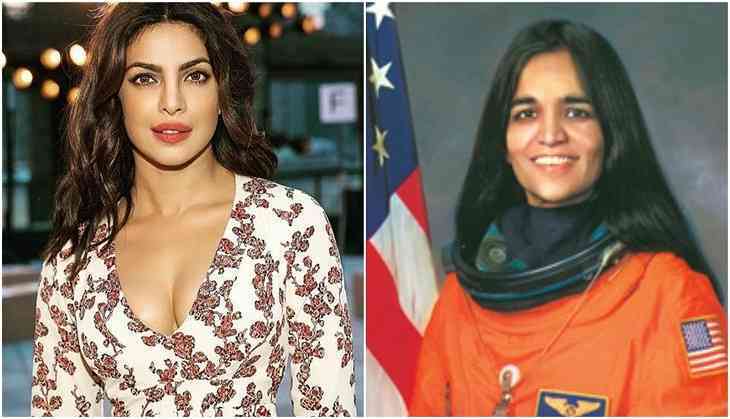 It is being said that her next project will be Kalpana Chawla's biopic in which she will be playing the lead role. However, no official announcement or confirmation about the same has been made yet. During an interview given to a leading daily, Priya Mishra, a debutante director said, "I have been working on it for the past seven years. A new production banner will back the project." ALSO READ: Priyanka Chopra all set to play the negative role in Subhash Ghai's Aitraaz 2? A closed source has informed the leading daily that Priyanka has been in the project and discussions are going on from the past one year. The insider said, "Priyanka's team has been involved in the project and have been planning the legwork of the film for past one year." Not only this, the actress during a live conversation with Bollywood actor Ranveer Singh on the occasion of International Womens' Day was asked about her Bollywood comeback to which she replied as "almost happening." ALSO READ: OMG! Why did Priyanka Chopra break a wine glass on her head? Well, if the rumors are believed to be true then it will be a great news for all the PeeCee fans who were waiting for the actress comeback in the Bollywood industry. Also, the project in which the actress will be working if the reports are true seems to be quite intriguing. Talking about the work front, Priyanka is these days busy in the shooting of her Hollywood projects A Kid Like Jake and Isn't it Romantic.